Have you ever seen children or were you ever the kid who believed, wholeheartedly, that you could fly, so you set off to jump from a high, place, trusting that you would somehow take flight? I don’t think I was ever that kid when I was younger, but I do remember believing (vaguely) that I could possess a different kind of power. When we were growing up, my brother and I saw part of this movie on TV about a guy who could move things with his mind, using his telekinetic mind powers. Whenever he employed telekinesis, he would squish his face, furrow his brow and squint his eyes to give the impression of some kind of super mind focus. Some time later, my brother and I sat in the front pew at the Corps, listening to our mother speak, awaiting our turn to get up and sing a duet. We couldn’t find our music (or something that we needed) so we made some attempts to get our mom’s attention while she was on stage. After some weak and failed attempts at widening our eyes in her direction, we looked at each, knowing immediately what we had to do to grab her attention. We squished up our faces, furrowed our brows, and squinted our eyes, determined to harness telekinetic powers to move some item or possibly even turn my mother’s head in our direction with our minds so that she would glance our way. We made the motions and I think for a few moments I believed it possible. Needless to say, it did not work, which I am sure we found hilarious, rather than disappointing. But, in a small and silly way, for a few moments, we trusted that we had power and that we could wield it. In these last years, as I have often been run ragged between work and school attempting to be an adult, and trying to have a life, I have felt weak and weary beyond belief…yet, God has been bringing reflections on power to my attention in the midst of it. Think about this for a second: the same power that raised Jesus from the dead, the power that defeated death itself, lives in you and me, as believers. THE SAME POWER. I don’t know if you caught that, but the power living in us MATCHES that incomparable power that raised the Savior of the world from the grave! Have you ever stopped to let your mind be completely blown apart by that knowledge? I’ll give you a second. This power is not for us to wield or control for our own purposes like flying or moving objects with our minds, but in order that others would come to know him because of it…this power is for us in our weakness; it is used to make us bold, to bring us to the people, places and situations that we need to be in order to bring God glory! 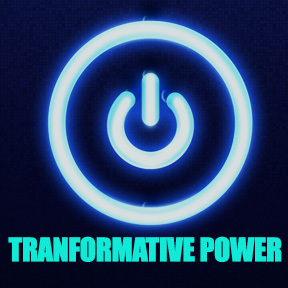 This power is a wonder-working, transformative power. Now let’s go back to thinking about these kids who think they can fly or, if you’re like me, move objects with your mind. Do you see how these kids live and act because they believe in that power within themselves? Almost disturbingly fearlessly! How do we live, talk and act knowing that there is incomparably great power for us who believe? Often, we are surprisingly overly cautious. Do we live with knowledge of this power, letting the Spirit lead us and convict us? I have to tell you, guys, that I forget it at times when I’m sitting on my couch at the end of the day or when I’m driving in my car on a Thursday morning or sitting in front of a computer during the day. How will you live, talk and act differently with God’s help, and knowing his power that lives in you?